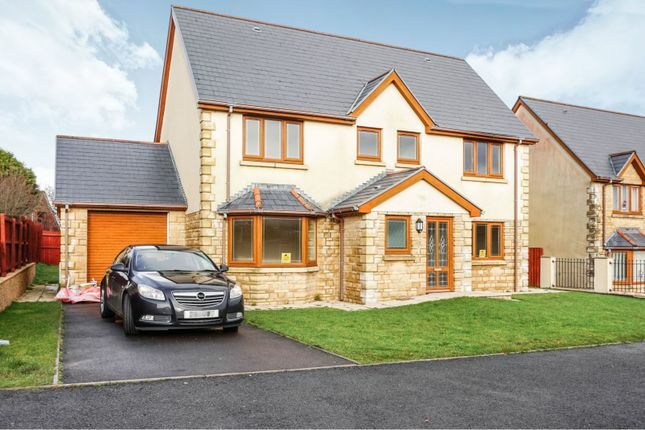 Six bedroom, new-build property spread across three floors, briefly comprising living room, sitting room, kitchen/breakfast room and downstairs cloakroom to ground floor. 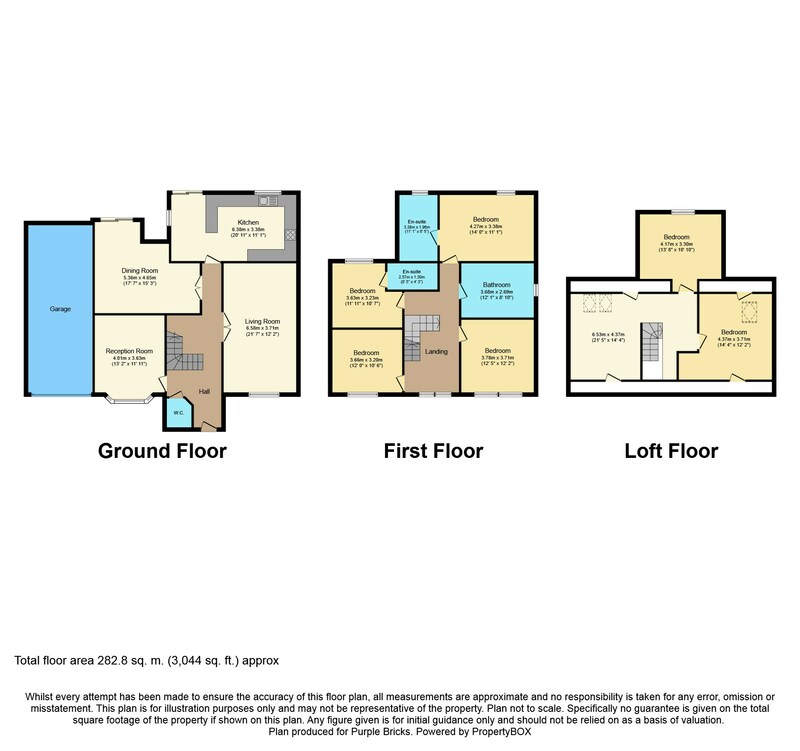 The first floor is host to four double bedrooms (two with en-suite facilities) and family bathroom whilst the second floor offers two double loft bedrooms with additional sitting area and ample eaves storage. This must-see property, finished to an impressive standard, benefits from excellent access to local schools, shops and amenities and is on the bus route. Early viewings are highly recommended and can be arranged 24/7 via Purplebricks website. Spacious living area with wood flooring, T.V point and double glazed uPVC window to front. Double glazed uPVC Bay window to front, wood flooring with wall mounted radiator. Modern fitted kitchen with a range of 'Beech' effect wall, base and drawer units incorporating stainless steel one and a half bowl sink unit with mixer tap over, granite worktops and breakfast bar, splash back tiling to walls. Plumbed for washing machine and under counter space for tumble dryer. Built-in stainless steel electric oven with four ring gas hob and stainless steel extractor chimney over, tiled flooring, double radiator, spot lighting and uPVC French door leading to rear garden. White, two piece suite comprising low level w.c. And hand wash basin. Splash back tiling to walls and radiator. UPVC double glazed window to rear, radiator, wooden flooring and access to en-suite. Three piece suite comprising low level w.c., pedestal hand wash basin with splash back tiling and fully tiled shower cubicle. Radiator. Spot lighting. Extractor fan. UPVC frosted window to rear. UPVC double glazed window to front. Radiator and wooden flooring. Three piece suite comprising low level w.c., stand alone shower, pedestal hand wash basin and fully tiled. Radiator. Spot lighting. Extractor fan. UPVC double glazed frosted window to rear. UPVC double glazed window to front. Radiator. Wood flooring. Modern, white, four-piece suite comprising low level w.c., pedestal hand wash basin and Jacuzzi bath with separate double walk-in shower, fully tiled walls and floor. Radiator. UPVC double glazed frosted window to side. Wood flooring, open plan sitting area with Velux windows to rear. UPVC double glazed window to rear. Radiator. Wood flooring. Double bedroom with uPVC double glazed Velux window to rear. Radiator. Wood flooring. Single garage with roller door and additional storage space. Lawned garden area to front with pathway around the sides, through the gate to the enclosed rear garden. The rear garden is level, mainly laid to lawn with paved area. Viewings can be arranged 24/7 via Purplebricks website.